The pole-sitter - whose main aim was to beat Charles Leclerc to third place in the championship - selected wets to ensure he competed on an equal footing with his rival. But, on what turned out to be a relatively fast-drying track, the choice left him and the Monegasque at a distinct disadvantage to those who had opted for slicks. 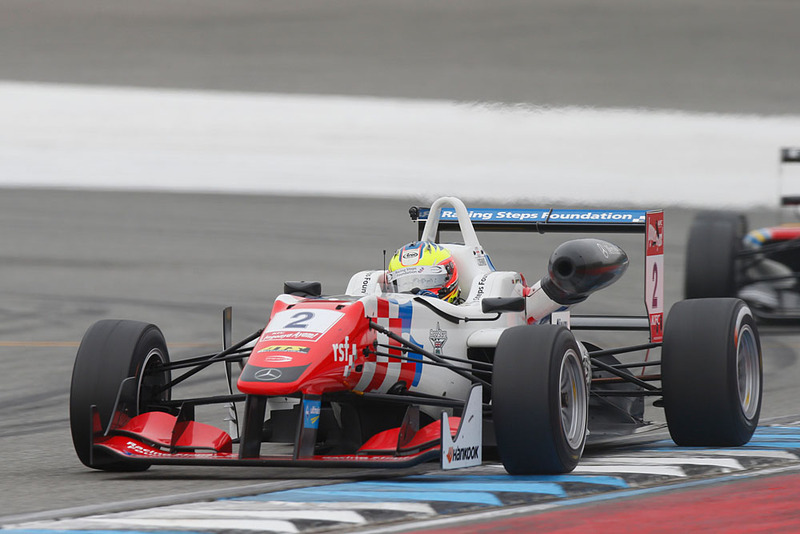 Although starting on the dryer side of the track, Dennis was unable to capitalise on pole and was immediately shuffled back to fourth as Prema team-mate and recently crowned champion Felix Rosenqvist charged past, followed by third and fifth row starters Alexander Albon and Alexander Sims. When front row partner and championship runner-up Antonio Giovinazzi - who started on the wetter side of the track - sailed by on lap five, the writing was well and truly on the wall. Fortunately for Dennis the first of four safety cars emerged before the end of the lap which allowed him - and a flurry of other wet-attired drivers - to dive into the pits to switch over to slicks. Meanwhile Leclerc, who had risen from 12th to sixth amid the chaos, opted to take his chances and stay out as Dennis made his way back out on track in 22nd. But while Dennis was able to battle his way through into the top 10 again, Leclerc plummeted down the order to 19th before diving in to make the switch as safety car No 3 was scrambled. With only one lap of racing left between that and the final safety car period, Dennis was able to make up one final place to take seventh - and third in the standings - while Leclerc finished 21st. Out in front little changed over the duration of the disjointed affair with Rosenqvist delivering yet another peerless drive to take an impressive 13th win of the season ahead of Albon and Giovinazzi.